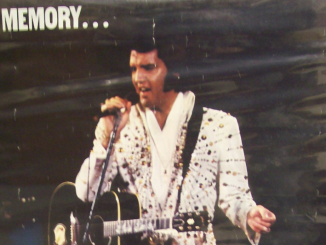 Occurring shortly after Elvis’ death, plaintiffs are seeking a preliminary injunction to prevent defendant from manufacturing, distributing and selling posters or other commercially exploited souvenir merchandise bearing Elvis’ likeness. They based their assertions on the “right of publicity” assigned by Elvis to Factors while he was still living. This particular court has no valid jurisdiction and/or venue is improperly laid in this particular district court. Judge Tenney rules in favor of the plaintiff. Note: This is a companion case to Factors Etc., Inc. v. Pro Arts, Inc., and Judge Tenney’s ruling was made just one day before the first of his four rulings in Factors over 7 years. No. 77 Civ. 4400 (CHT). Plaintiffs have moved this Court for a preliminary injunction pursuant to Rule 65 of the Federal Rules of Civil Procedure (“Rules”) to restrain defendant Creative Card Company from the manufacture, distribution and sale of any poster or other commercially exploitive souvenir merchandise bearing the likeness of the late entertainer Elvis Presley. Plaintiffs claim possession of an exclusive right to that activity, based on a “right of publicity” assigned by Elvis Presley in life. Defendant Creative Card Company, an Illinois corporation, disputes the existence and assignment of this right, and has also moved for dismissal under Rule 12(b) on the grounds of lack of personal jurisdiction and/or improper venue in the Southern District of New York. The Court has determined that it has jurisdiction over defendant Creative Card Company and that venue is properly laid here. Accordingly, the motion to dismiss under Rule 12(b) is denied. In addition, by the tests for preliminary relief articulated in this circuit, I conclude that plaintiffs have made “a clear showing of . . . probable success on the merits and possible irreparable injury.” Sonesta International Hotels Corp. v. Wellington Associates, 483 F.2d 247, 250 (2d Cir. 1973) (emphasis in the original). Therefore, plaintiffs’ motion under Rule 65 is granted. The reasons for the Court’s conclusions are set forth below. 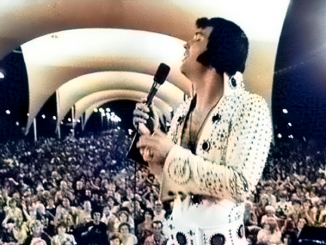 On August 16, 1977, Elvis Presley, without doubt a world famous celebrity- entertainer, died at the age of forty-two. During life his professional career and the commercial exploitation of his person were managed exclusively by “Colonel” Tom Parker,[FN1] as demonstrated by the deposition of Col. Parker begun on September 30, 1977 and continued on October 1, 1977, and the documents appended thereto. On March 26, 1956, Presley and Parker entered into a written management contract which, although it does not specifically allude to souvenir merchandise, authorizes Parker to act exclusively for Presley “in any and all fields of public and private entertainment . . . embracing any and all branches thereof now known or hereafter coming into existence.” Plaintiffs’ Supplemental Memorandum, Exhibit C. However, that items of merchandise were clearly contemplated by the parties becomes apparent in later agreements including, inter alia, one concluded a few months later among Parker, Presley and a Mr. Saperstein of Special Projects, Inc., a merchandising company. Id., Exhibit D. The Special Projects organization was made “exclusive agent” for a period of time to license other firms “in connection with the sale, marketing and exploitation of consumer items.” Id. All manner of merchandise was thereafter covered by numerous licensing agreements with sub-licensees. E. g., id., Exhibits E, F & G. Although these and the Special Projects agreement, supra, refer to the late 1950’s, an early period in the Presley career, a subsequent merchandising agreement between Presley and Parker, the latter doing business as “All Star Shows,” dated May 25, 1963, id., Exhibit H, refers to the production of and distribution of profits from “Merchandising Special Souvenir Folios and Pictures.” Later signed agreements between Parker and Presley specifically allude to “merchandising agreement(s).” The last of these is dated January 22, 1976. Id., Exhibits I & J. Plaintiff Boxcar Enterprises, Inc. (“Boxcar”) entered into the Presley-Parker relationship as a corporation formed in January 1974. The Court does not have before it the certificate of incorporation, but Col. Parker has testified that he owned 56% Of the shares and that Presley and one Tom Diskin, President of Boxcar, each owned 22%. Parker Depos. at 49, lines 21-26. There is, from this point on, some confusion as to which entity Boxcar or Col. Parker doing business as All Star handled merchandising, but there are numerous exhibits of checks issued from Boxcar to Elvis Presley bearing such notations as “For Royalty Earnings From Sales of Elvis Presley Souvenir Material On Tour June 25th through July 5th, 1976 as per contractual agreement.” Plaintiffs’ Supp. Mem. Exhibit L. (Further checks and royalty statements from Boxcar to the Elvis Presley Estate have also been submitted. Id. Exhibit L.) On August 18, 1977, two days after the entertainer’s death, plaintiff Boxcar entered into an agreement with plaintiff Factors Etc., Inc. (“Factors”) which purported to afford the latter an exclusive license to use the Presley likeness in connection with all souvenir merchandise. Complaint, Exhibit A. On August 24, 1977, Vernon Presley, father of the deceased and executor of his estate, agreed to a royalty arrangement with Boxcar as “Merchandising Representatives for the Elvis Presley Estate.” Plaintiffs’ Supp. Mem. Exhibit N. Vernon Presley also wrote to Col. Parker on August 23, 1977 asking Col. Parker to “carry on according to the same terms and conditions as stated in the contractual agreement you had with Elvis dated January 22, 1976.” Id., Exhibit M.
Defendant argues along several lines, the most germane of which are: (1) that plaintiff Boxcar never acquired the exclusive right to merchandise the Presley name and image; (2) that even if Boxcar did have such a right in Presley’s lifetime, that right died with the entertainer; (3) that this Court has no jurisdiction of defendant and/or venue is improperly laid here. Although the Court would normally dispose of the procedural questions of jurisdiction and venue before moving to the substantive issues, in this particular case the latter must be considered first because the procedural issues depend on a clear definition of the applicable substantive rights. It is hornbook law that where there is ambiguity in a contract the intent of the parties may be ascertained by reference to their subsequent course of conduct. Gordon v. Vincent Youmans, Inc., 358 F.2d 261 (2d Cir. 1965); Portsmouth Baseball Corp. v. Frick, 278 F.2d 395 (2d Cir. ), cert. denied, 364 U.S. 831, 81 S.Ct. 71, 5 L.Ed.2d 58 (1960); 1 Corbin, Contracts s 101 (1964). For more than twenty years, Elvis Presley and Col. Parker had a working relationship where the division of labor was apparent: one performed, the other promoted. If some of the documents memorializing this activity are less artful than those which some professional counsel can draft, they are no less valid. Defendant points to inconsistencies in the statements of Col. Parker and others as to who held the right to “merchandise” the Presley image during his lifetime Presley himself, Parker, or, eventually, Boxcar. In view of the Parker-Presley agreements, the uncontested allegation that Presley himself was a 22% Shareholder of Boxcar and the fact that Boxcar paid royalties to Elvis Presley for souvenir merchandise sold, it seems clear enough, at least for purposes of a preliminary injunction, that Presley gave Parker leave to exploit his image through merchandise and that Boxcar was, in recent years, the vehicle through which such merchandising was carried on. Defendant’s allusions to defective links in the chain of title in Boxcar, Defendant’s Mem. in Oppos. 15-18, lose sight of the true facts: these entities involved the same people. With the exception of Diskin they had been doing business together for twenty years. [FN2] None of the parties to the Presley-Parker business relationship appears to have been dissatisfied. Vernon Presley stated on CBS television on October 3, 1977: “Colonel Parker is an honest man. And I think that’s where the big organization and the big togetherness comes, you know. Once you find out you don’t have to worry about a guy being your manager, what he can do for you, he handles it. You do the show. Everything works fine.” Plaintiffs’ Supp. Mem. at 4. The Court takes note of the fact that these remarks were represented as having been recorded prior to Presley’s death. By far the most interesting issue in this case is whether Boxcar had anything to transfer to Factors when it entered into the August 18, 1977 “exclusive licensing” contract. After consulting the case law and certain commentaries in this field, e. g., Gordon, Right of Property in Name, Likeness, Personality and History, 55 Nw.U.L.Rev. 553 (1960); Nimmer, The Right of Publicity, 19 Law & Contemp. Probl. 203 (1954); Note, The Right of Publicity Protection for Public Figures and Celebrities, 42 Brooklyn L.Rev. 527 (1976), I have concluded that it did. It appears that a recognized property right, the “right of publicity,” inhered in and was exercised by Elvis Presley in his lifetime, that it was assignable by him and was so assigned, that it survived his death and was capable of further assignment. The “right of publicity” is not a new concept, but, to the detriment of legal clarity, it has often been discussed only under the rubric “right of privacy.” It is said that the right of privacy embraces “four distinct kinds of invasion of four different interests of the plaintiff, which are tied together by the common name, but otherwise have almost nothing in common except that each represents an interference with the right of the plaintiff ‘to be let alone.’ ” W. Prosser, Torts 804 (4th ed. 1971) (emphasis added). It is this language which is at the root of the conceptual difficulty in the “right of publicity” area. Dean Prosser recognized that the fourth species of right of privacy tort, i. e., the appropriation of plaintiff’s name or likeness for defendant’s benefit, is distinct from “intrusion upon the plaintiff’s physical solitude or seclusion,” “public disclosure of private facts,” or “false light in the public eye,” id. at 807, 809, 812, in that “appropriation” is the only one which “involves a use for the defendant’s advantage.” Id. at 814. However, Prosser has failed to discuss the fact that appropriation of plaintiff’s name and likeness for defendant’s financial advantage has different consequences in a case where the celebrity himself has attempted to commercialize his own name and face. It is evident that courts address intrusions on feelings, reputation and privacy only when an individual has elected not to engage in personal commercialization. By contrast, when a “persona” is in effect a product, and when that product has already been marketed to good advantage, the appropriation by another of that valuable property has more to do with unfair competition than it does with the right to be left alone. See Ettore v. Philco Television Broadcasting Corp., 229 F.2d 481, 490 (3d Cir. 1956); Uhlaender v. Henricksen, 316 F.Supp. 1277, 1282 (D.Minn.1970). “(T)he State’s interest in permitting a ‘right of publicity’ is in protecting the proprietary interest of the individual in his act in part to encourage such entertainment. As we later note, the State’s interest is closely analogous to the goals of patent and copyright law, focusing on the right of the individual to reap the reward of his endeavors and having little to do with protecting feelings or reputation. . . . An entertainer such as petitioner usually has no objection to the widespread publication of his act so long as he gets the commercial benefit of such publication. “We think that, in addition to and independent of that right of privacy (which in New York derives from statute), a man has a right to the publicity value of his photograph, i. e., the right to grant the exclusive privilege of publishing his picture, and that such a grant may validly be made ‘in gross,’ i. e., without an accompanying transfer of a business or of anything else. Whether it be labelled a ‘property’ right is immaterial . . . .
“This right might be called a ‘right of publicity.’ . . .” Id. at 868. More recent decisions have clearly labelled the “right of publicity” a species of “property.” Cepeda v. Swift & Co., 415 F.2d 1205 (8th Cir. 1969); Price v. Hal Roach Studios, Inc., 400 F.Supp. 836 (S.D.N.Y.1975); Sharman v. C. Schmidt & Sons, Inc., 216 F.Supp. 401 (E.D.Pa.1963); cf. Ettore v. Philco Television Broadcasting Corp., supra; O’Brien v. Pabst Sales Co., 124 F.2d 167 (5th Cir. 1941), cert. denied, 315 U.S. 823, 62 S.Ct. 917, 86 L.Ed. 1220 (1942); id. at 170-71 (Holmes, J., dissenting); Grant v. Esquire, Inc., 367 F.Supp. 876 (S.D.N.Y.1973). Price v. Hal Roach Studios, Inc., supra, a case decided in this district, is particularly interesting because it is the only reported decision known to this Court where the right of publicity was deemed descendible. In that case the widows of Stan Laurel and Oliver Hardy and another party claiming the right to exploit the Laurel and Hardy image through merchandise sued to restrain defendants from infringing on that right. Plaintiffs set up the exclusivity of a prior contract covering commercial merchandise which had been entered into by Stan Laurel, Hardy’s widow, and the plaintiff licensee. Although there was no evidence to show that the comedians had ever exploited their own personalities through merchandising efforts, the Price court, relying on the distinction between a personal right of privacy which is extinguished at death and a valuable, alienable property right in name and image, i. e., the ” right of publicity,” asked “what policy should operate to cut off this (latter) right at death?” 400 F.Supp. at 844. The Price court could find none, and on the much stronger facts here presented, this Court adopts that view. There is no reason why the valuable right of publicity clearly exercised by and financially benefiting Elvis Presley in life should not descend at death like any other intangible property right. 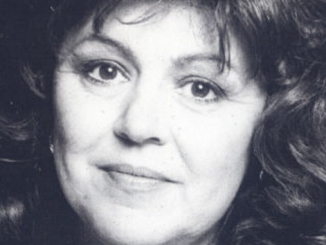 “(W)e hold that the right to exploit name and likeness is personal to the artist; if not exploited by him during his life, his name and likeness may be used by another without liability . . . .” Id. at 779 (emphasis added). The other cases cited by defendants are far off the mark. Paulsen v. Personality Posters, Inc., 59 Misc.2d 444, 299 N.Y.S.2d 501 (Sup.Ct.1968), involved a comedian who thrust himself into a political campaign as a bogus presidential candidate and whose picture in that guise was widely circulated as a poster. The case appears to have been decided in favor of the unlicensed poster manufacturer because Paulsen’s choice of the political arena for satire made him “newsworthy” in the first amendment sense. 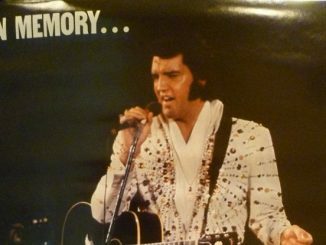 [FN5] There is no constitutional protection for selling posters of Elvis Presley as Elvis Presley. Finally, defendants cite Maritote v. Desilu Productions, Inc., 230 F.Supp. 721 (N.D.Ill.1964), aff’d, 345 F.2d 418 (7th Cir. ), cert. denied, 382 U.S. 883, 86 S.Ct. 176, 15 L.Ed.2d 124 (1965), where the widow and son of Al Capone sued the producers of a television series which depicted Capone in dozens of episodes, purported to quote him in conversation and so on. Both the trial court and the appellate court in Maritote refused to consider the claim of “unjust enrichment” advanced by plaintiffs, a claim which may be construed as a poorly articulated “right of publicity” assertion. In the opinion of this Court, the decision against plaintiffs was quite correctly taken in that any “right of privacy” died with Al Capone and could not thereafter be invaded. Furthermore, there could be no valid, surviving claim based on a right of publicity as this Court construes it. Whatever else Al Capone was doing in life, he was not trying to create an image with widespread commercial appeal. On the basis of the foregoing, the Court concludes that the facts of the instant case demonstrate a strong likelihood that plaintiffs will prevail on the merits at trial. Having satisfied one of the Sonesta mandates, i. e., that a preliminary injunction may not issue absent probable success on the merits, the Court must address the second aspect of that test: whether plaintiff is exposed to possible irreparable injury. The market for Presley memorabilia has been described by defense counsel in the companion action to this one, Factors Etc., Inc. v. Pro Arts, Inc., D.C., — F.Supp. —- (CHT), as “evanescent,” and while the Court will not ascribe to one defendant the opinion of another, the word is probably apt. Furthermore, while defendant in this case has suggested that it is easily capable of responding in damages, using as a measure the number of allegedly infringing Elvis Presley posters that it sells during the period of litigation on the merits, this argument assumes that any consumer bent on acquiring an Elvis Presley poster will, if plaintiffs’ similar merchandise is not before him, purchase defendant’s merchandise rather than abandon the whole project. Suffice it to say that the vagaries of consumer buying are such that proof of damages would be extremely difficult. See Omega Importing Corp. v. Petri-Kine Camera Co., 451 F.2d 1190 (2d Cir. 1971). However, the Court need not determine possible irreparable damage by speculating on the caprice of the consumer market. Plaintiff Factors claims that its licensing program for articles other than posters is jeopardized by its inability to grant exclusive rights. In support of this proposition, it submits the affidavit of Daniel H. Lidman, one of the attorneys representing plaintiffs, whose detailed assertions, apparently made on personal knowledge, reveal that a prominent toy manufacturer with plans to market an Elvis Presley jigsaw puzzle as a sublicensee of Factors has already been beaten to the marketplace by another “unlicensed” manufacturer. The Court concludes that there is a rush to capitalize on the Presley image in this postmortem period, [FN6] and that if Factors has exclusive property rights in the manufacture and marketing of Presley souvenir merchandise, as it so appears, then it must be protected at this time. Having identified the right asserted here as “property” and its infringement as a species of unfair competition, it is to the law of that tort that the Court looks to determine the correctness of jurisdiction in this district. Jurisdiction is based on diversity of citizenship, 28 U.S.C. s 1332, and in a diversity action a federal court must determine a question of personal jurisdiction according to the laws of the state in which it is sitting. Arrowsmith v. United Press Int’l, 320 F.2d 219 (2d Cir. 1963) (en banc). In this case the applicable law is that of New York, specifically the provision of its “long-arm” statute which gives New York courts jurisdiction over any nondomiciliary who commits “a tortious act within the state.” N.Y.C.P.L.R. s 302(a)(2). As to the tort of unfair competition “the wrong takes place . . . where the passing off occurs.” Vanity Fair Mills, Inc. v. T. Eaton Co., 234 F.2d 633, 639 (2d Cir. 1956), cert. denied, 352 U.S. 871, 77 S.Ct. 96, 1 L.Ed.2d 76; see Car-Freshner Corp. v. Broadway Mfg. Co., 337 F.Supp. 618 (S.D.N.Y.1971); Carter-Wallace, Inc. v. Ever-Dry Corp., 290 F.Supp. 735 (S.D.N.Y.1968). Clearly the Court has jurisdiction over the defendant on the basis of the sale of its infringing merchandise in New York. Defendant contends that this district is not “where the claim arose,” as that phrase has been construed, despite the fact that its allegedly infringing goods are sold here. It is true, as defendant asserts and courts have recognized, that in a “transitory” cause of action like the instant one, where the tort arises at the point of purchase, there is a danger that the “claim arose” language in section 1391(a) might be construed to permit a plaintiff to sue in any district into which the defendant has shipped infringing goods. In Honda Associates, Inc. v. Nozawa Trading, Inc., 374 F.Supp. 886, 890 (S.D.N.Y.1974), a trademark action, the court quite correctly would not infer any such legislative intent. It therefore framed the issue thusly: does ” ‘the claim’ . . . mean the largest part of the claim, a substantial part thereof, or any part thereof”? Because the defendant in Honda had sent only 20 of the allegedly infringing mail order catalogues into New York in five years and had sold a total of only $37 worth of allegedly infringing goods in New York in four years, the Honda court concluded that defendant’s contacts with this district, for venue purposes, were “miniscule” and that the claim did not “arise” here in the statutory sense. Although it analogized its method to a “weighing of contacts” analysis used in securities and antitrust cases, the court in Honda refused to determine whether “the largest part of the claim” or “a substantial part thereof” was necessary to support venue, and specifically rejected a standard by which trademark infringement cases could only be brought where the greatest volume of infringing actively occurred. Id. at 892. Other courts have found the Honda “more than miniscule contacts” test appropriate for determining venue in situations similar to that at bar. In Tefal, S.A. v. Products Int’l Co., 529 F.2d 495 (3d Cir. 1976), the court found venue proper on the basis of five percent of defendant’s infringing sales having been made in the district (although no dollar volume of sales was adduced in evidence) and because live sales demonstrations had been conducted in the district. In Transamerica Corp. v. Transfer Planning, Inc., 419 F.Supp. 1261 (S.D.N.Y.1976), venue was held improper where defendant had never earned a cent from New York sales, had no sales representative in New York and never sent an employee or agent into the district for business purposes. Both cases were decided by the yardstick of the Honda test. The facts in this case clearly show “more than miniscule contact” with this district. By the affidavits of Mr. Burton Wall, president of defendant Creative Cards, the sales of that corporation for the year ending July 1977 exceeded seven million dollars, Wall Affidavit, sworn to September 27, 1977, P 24; approximately 10% of that business (or $700,000 for that period) was in posters, Wall Affidavit, sworn to October 4, 1977, P 3; New York accounted for 3% of poster sales (which, assuming nationwide sales for defendant’s posters, makes New York, if not the most substantial market, then certainly not a miniscule one); and sales of Elvis Presley posters “through distributors, jobbers and retailers” in New York accounted for 0.8% of all poster sales for the eight months ending August 31, 1977. Id. The jumble of figures may be reduced to this: Creative Card, through its C/C Sales Division, sold approximately $7,000 worth of Elvis Presley posters in New York in the first eight months of 1977. Defendant does not tell us whether any of its other markets for Elvis Presley posters is more substantial than New York. Furthermore, these figures do not convey whether there was an increase in demand for Elvis Presley posters in New York after the entertainer’s death, nor are they enlightening as to projected sales in New York alone and as compared to other districts. Even were this Court to conclude that $7,000 of sales to the New York public in the first eight months of 1977 is “miniscule” and such a conclusion cannot be reached in the absence of evidence demonstrating much greater sales of that merchandise in other districts there are unrefuted allegations in the documents submitted by plaintiffs which add contacts beyond mere sales and harmonize the case more closely with Car-Freshner Corp. v. Broadway Mfg. Co., supra. In that case venue was held proper in this district where defendant had a sales representative in New York and its allegedly infringing products were sold in many retail outlets in the state. Plaintiffs allege similar facts here. 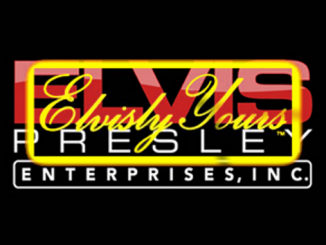 They have submitted a sales order placed with David Oestreich, Inc., 225 Fifth Avenue, New York, N.Y. 10010, covering the purchase of six dozen of defendant’s Elvis Presley posters. In the order form space marked “Factory Represented” is written “C & C Sales” (sic). Rohner Affidavit, sworn to October 4, 1977, Exhibit B. Defendant’s poster is apparently being sold in New York through the Woolworth chain. Adler Affidavit, sworn to October 4, 1977, P 3. In addition, plaintiffs initially joined several other retail outlets in this action, all of whom were purportedly selling defendant’s poster. Rohner Affidavit, sworn to September 1, 1977, PP 4-7. (These named defendants have apparently defaulted.) Finally, plaintiffs have submitted the catalog from the New York Gift Show held August 14-19, 1977. Rohner Affidavit, sworn to October 4, 1977, Exhibit C. The catalog identifies both Creative Card Company and David Oestreich, Inc. as exhibitors and, on the David Oestreich, Inc. descriptive page, states that Oestreich is “represented by” one Bill Dustin, who plaintiffs allege is connected with defendant Creative Card. Id. P 4. Defendant acknowledges that Bill Dustin is “an employee of C/C Division of Creative Card.” Wall Affidavit, sworn to September 21, 1977, P 16. The Court is satisfied that on the facts presented venue is fairly laid in this district. Before leaving the subject, however, it is necessary to address defendant’s general argument against venue here. Creative Card states that it does all of its sales through independent distributors, jobbers or retailers in New York whose only contacts with the Illinois corporation are by phone or mail; that it is these independent entities who sell the allegedly infringing goods in the New York market; that Creative Card ships f. o. b. Chicago with the result that title to the goods passes in Illinois. Wall Affidavit, sworn to October 4, 1977, PP 2-9. A fortiori, the argument goes, defendant has no “contacts” with this district in the venue sense and therefore the instant suit “could and should” have been brought in the Northern District of Illinois. Defendant’s Mem. 41. The evil in this contention is the converse of that addressed in Honda, where the concern was that a too-broad interpretation of “where the claim arose” could expose a multi-state tortfeasor to suit in any forum. 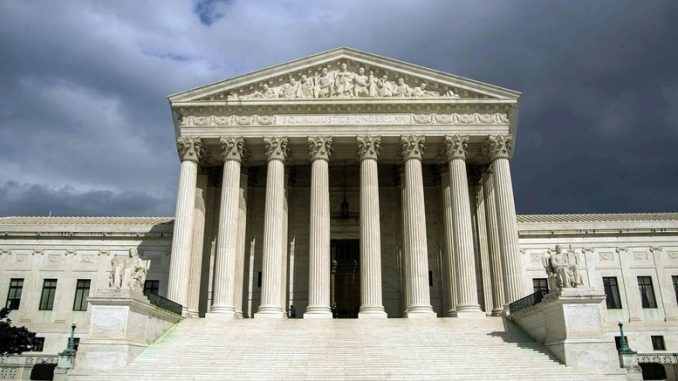 Were the Court to accept the defendant’s argument that the structure of its business insulates it from suit anywhere except in its resident forum, it would be sanctioning a construction of section 1391(a) that gives plaintiff no choice at all in a multi-state tort, and it would be impermissibly cancelling the words “where the claim arose” from that statute. This cannot be done. Based on the foregoing analysis, defendant’s motion to dismiss the instant claim for want of personal jurisdiction and/or improper venue under Rule 12(b) is denied, and plaintiffs’ request for preliminary relief pursuant to Rule 65 is granted. Defendant Creative Card Company will be enjoined from manufacturing, distributing, selling or by any other means profiting from souvenir merchandise bearing the name or likeness of the late Elvis Presley until the merits of the case are determined. Order is being filed simultaneously herewith. FN1. Col. Parker acknowledges that his title is of the Southern rather than the military variety in his deposition, September 30, 1977, page 4, line 27. FN2. Defendant has no standing to attack the administration of Boxcar’s financial affairs or to raise inferences of self-dealing; that is the province of the state of incorporation in a quo warranto proceeding. American Co-op Serum Association v. Anchor Serum Co., 153 F.2d 907 (7th Cir. ), cert. denied, 329 U.S. 721, 67 S.Ct. 57, 91 L.Ed. 625 (1946). the instant action does not present the Presley name or his fact enhancing a product Presley is the product. Furthermore, it is not unreasonable to conclude that Elvis Presley’s act included the totality of his persona performance, image and name. At the very least the Presley visage is obviously an aspect of the performer having a high market value, as evidenced by the competition which has given rise to this case. FN4. Defendant relied as well on another California case in which the heirs of Bela Lugosi asserted a right-of-publicity claim based on the actor’s image as Dracula. Examination of the intermediate appellate opinion in that case reveals that while plaintiff was denied relief on the facts (after prevailing at trial), the court recognized a right of publicity, provided it was actively exploited by the celebrity in life. However, the California Supreme Court has now accepted the case for hearing, Lugosi v. Universal Pictures, Cal.App. 139 Cal.Rptr. 35 (1977), and that procedural step operates to render the intermediate appellate opinion a nullity, having no force or effect as a judgment or authority as a statement of legal principle. Knouse v. Nimocks, 8 Cal.2d 482, 66 P.2d 438 (1937). Therefore, the intermediate appellate opinion cannot be considered, either by defendant which relies on it, or by this Court, which can distinguish it. FN5. The Paulsen case was held “unique to its facts” only a few years later by Rosemont Enterprises, Inc. v. Urban Systems, Inc., 72 Misc.2d 788, 340 N.Y.S.2d 144 (Sup.Ct. ), modified, 42 A.D.2d 544, 345 N.Y.S.2d 17 (1st Dep’t 1973) (impermissible infringement on an exclusive license to exploit the name and personality of Howard Hughes).